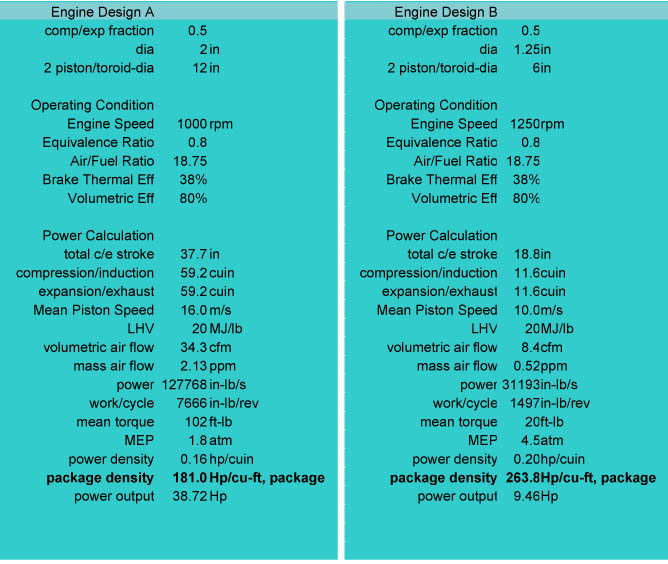 The Novus Engine design has very high power-density potentials. Initial calculations show very promising results. The following analytical data is provided for informational purposes. The data has been gathered through analytical means and has not been experimentally verified. Experimental testing is being pursued and all information given is subject to change and has neither an expressed or implied guaranteed.